We’ve all had the text or email asking for our passenger experience feedback: “Hey, how was your trip? Please complete this short survey”. Usually, it’s anything but short. And sometimes we get it before the flight has even taken off. Such is the insatiable appetite for passenger feedback. We’re all travellers ourselves. So we know that if passengers do have some kind of a problem, only a small fraction will complain directly. The silent majority, given a choice, will put up with things for the moment then simply try out a different airline or different route next time. And on the way they will very likely take to social media to share and vent their frustration. That trail of unsolicited feedback doesn’t go unnoticed by other passengers. A study by Invesp showed that not only do 90% of customers read reviews before buying but 86% of them will hesitate if there are negative reviews. No wonder then that reliable and timely customer feedback is a priority. 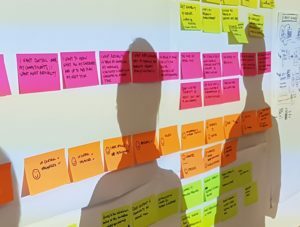 Yet I regularly see Customer Insight teams having their surveys hijacked by those who want to use it as a tick-box audit for whether a process happened or not. They look for what they think should be there if everything goes to plan. Often, far too often, the survey doesn’t allow the most important issues to come to the surface naturally, even (especially) when things don’t go to plan. An effective customer feedback culture goes way beyond asking “Did the flight leave on time?”, “Was the crew friendly?” or counting hits on the ‘smiley face’ buttons for the ASQ report. Even if we do get results though, we’re only tapping in to a fraction of the total travelling audience. The good news is there’s no shortage of freely available, rich customer feedback to complement an existing structured survey. The bad news is we have to put in a bit of effort to mine it. As one airport senior manager told me, “Our own passengers are more likely to read and act on that sort of feedback than we are”. Just to be clear, by unstructured feedback I mean the type of freeform comments that we leave on review sites, share stories about on Facebook or highlight on Twitter. The comments are not responding to a request for feedback and there is no single format. It is a customer’s view, in their words however and whenever they choose. When we’re looking what to change and how to make us stand out from our competitors, such revealing insights are priceless; well worth the effort. Thankfully, customers are more willing and able than ever before to share stories and reviews with friends, family and fellow passengers. What’s more, most of it is completely free and easily accessible. It’s a great way to keep tabs on what people and intermediaries (everyone’s now an ‘opinion leader’ ) are saying about you. And, to see what’s working or not with your competitors. I’ve highlighted below some of the places we can find this feedback. The list isn’t exhaustive but illustrates what is available and hopefully prompts thoughts about where to find your own nuggets. I’m assuming you already have alerts set up to be notified when anyone is talking about your airport or airline. But try putting your company name into Google’s main search box. Where the company information pops us (or under the URL of the first search result) there may be a rating out of 5 stars. Click on the link and you are taken to the comments. Instant feedback. Read it and plug it in to your voice-of-the customer programme. One caveat – it does depend on whether enough reviews have been left so it doesn’t happen for every business. Sometimes it will pull across review summaries from other sites, but is always worth a try. Created by Skytrax, airlinequality.com is an obvious starting point for airlines and airports worldwide. With a bit of analysis, the combination of ratings and qualitative reviews make it easy to establish what is it that 5-star airlines or airports do. Or, why passengers warn fellow travellers to avoid some operators altogether. If you then recognise the characteristics in your own business, protect the good stuff and/or change the bad. Primarily for airports, sleepinginairports.net is a website dedicated to providing a passenger’s perspective on the reality of an airport experience. There are tricks-of-the-trade type guides to making a trip as comfortable as possible (worth checking it’s an accurate reflection of your airport?) while the ratings and reviews again add valuable learnings. 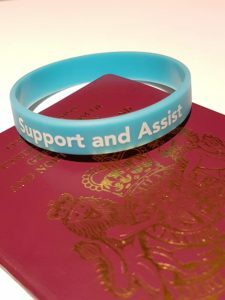 There are also sites specialising in assisted travel. Reduced Mobility and the Disabled Traveler provide specific, in-depth insights for those travelling with physical or mental disabilities. Very useful windows for aviation companies to look through if they want to be genuinely more empathetic. Those looking to see how online travel agents fare will be interested in Skyscanner’s rating system, based on bookers over the previous three months. Skyscanner also has a self-help community where travellers pose and answer questions, which include passengers sharing their honest thoughts about “What’s it like to use XYZ?”. Airlines might be also interested in how Expedia’s opinion might influence passengers with its own reviews. Using a scale of poor – fair – satisfactory – good – very good, when passengers are in the process of booking a rating out of 10 is given for each search result. The website says the “Flight score reflects the duration of the flight the type of aircraft, and the quality of amenities the flight offers”. In a similar way, Kayak gives its visitors a quick sense-check in search results. Flights are rated on the basis that they “..evaluate price confidence, booking fees and customer feedback”. Of special note to airlines is the move last year by TripAdvisor, which now gives passengers the ability to review flights as well as search, compare and buy. With over 350 million unique users each month, its content and resulting influence cannot be overlooked. Along with an overall “out of 5” score and category-specific metrics, it allows customers to write, in their own words, what it is like to be on the receiving end of the service airlines provide. Travel plays such a big part in our personal and business lives that it is inevitable our experiences are talked about far and wide. Trustpilot, for example, is designed to collect ratings and reviews of companies doing business online – which obviously includes airlines and airports. The issue of the rating score is interesting too. One retail company only realised its employees didn’t understand its policy changes by reading Trust Pilot reviews. And I know of at least one insurance company who now uses the Trust Pilot score as its key customer experience metric. It goes without saying that the likes of Twitter, LinkedIn and Facebook lend themselves to passengers’ stories about what it was like. Instagram, Snapchat and Pinterest are all also worth a search for mentions of your brand. Meanwhile if you are looking for some quick and free ethnographic understanding, YouTube will often come to the rescue. After Google, it trades places with Facebook for 2nd and 3rd most popular website in the world. No surprise therefore that a quick, well defined search will find personal diaries and videos uploaded by travellers. Finding the insights is just the start. Analysing the verbatims and adding the conclusions to your feedback programme may take a bit of effort. But why would you not want to have the full picture? Structured surveys are an essential component of customer experience programmes but can, unintentionally, be limiting. The whole point of customer feedback is to know where to focus finite resource on actions that cuts out wasted costs, address immediate issues today and give confidence about what should change for tomorrow. The more facts we have the better. Knowing the answers to predictable survey questions is helpful. Having access to the word on the street, now that’s powerful. Thank you for reading this blog about passenger experiences and their feedback. I hope you found it useful and thought-provoking but I’d love to know what you think too. I’m Jerry Angrave, a Certified Customer Experience Professional (CCXP) and heading up Empathyce, a CX advisory and training business. I’m a CX consultant with an extensive corporate background in areas such as customer-centric cultures, the role of CX professionals, strategy, measurement, journey mapping and governance. I also specialise in professional development for those in, or moving to, customer experience roles. Feel free to contact me with any questions – by email to [email protected] or by phone on +44 (0)7917 718072. More details at the website www.empathyce.com.